Are you looking for a new way to market your products or services? 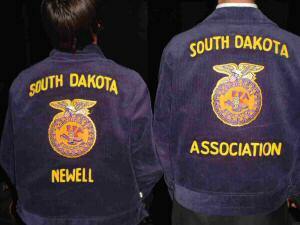 Try advertising with the SD FFA! “FFA’s New Era” newsletter is published three times a year by the South Dakota FFA Foundation and distributed to over 4000 FFA members, advisors and school administrators, plus businesses and individuals who support the SD FFA across South Dakota! With a copy for every FFA member household, your message will reach those responsible for purchasing decisions.